The view that Africa regressed the moment that colonial governments left its shores is widespread. This volume is a counterpoint to the orthodoxy. Here 13 scholars with specializations ranging from literature and history to philosophy and economics argue that Africa has advanced since colonialism and is poised to march forward in spite of setbacks and disappointments. The contributors to the book contend that development is about human beings, so they do not rely exclusively on statistical estimates and projections. 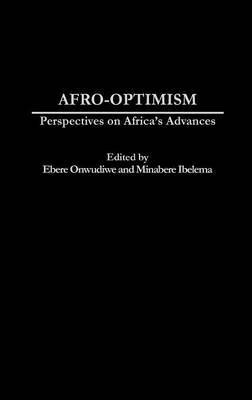 Afro-Optimism is a book with a simple thesis: Africa is marching forward, even if at times haltingly and at a different pace from the rest of the world. A common view among journalists and academics alike is that African conditions declined the moment colonial governments left its shores. The chapters in this book cover Africa's progress in health, agriculture, transportation, cultural innovation, and economic advancement. The contributors to the book contend that development is about human beings, so they do not rely exclusively on statistical estimates and projections. The essays in this book discuss the advances African states have made in spite of, and at times because of, their experiences of European colonial rule. The contributors argue that in all facets of development, Africans had to overcome colonial obstacles or had to build on meager colonial foundations. Although the authors acknowledge Africa's disappointing performance in various respects, they stress throughout that exclusive concentration on African failures creates new and reinforces existing negative perceptions of contemporary Africa.